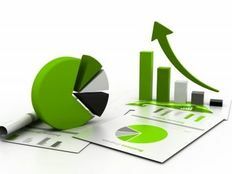 Options on futures, also known as futures options or commodity options, may seem like a complex topic for those relatively new to derivatives and somewhat unnecessary for those with experience. But combining futures with options provides traders with a number of benefits such as the ability to hedge existing futures options, trade around the clock, and enhance leverage. Options give buyers the right to purchase or sell a security at a fixed price on or before a certain date. Options sellers-or writers-receive a premium in exchange for the option to buy or sell a security at a fixed price on or before a certain date. There are also two types of options: American style options enable buyers to exercise their rights any time before the expiration date, while European style options only allow options to be exercised on the expiration date. Futures contracts enable buyers to secure the future delivery of a security, usually a commodity, at a specific price on a specific date. These contracts were originally used by commercial entities to protect themselves against price volatility, but they have since evolved into a tool that speculators can use to bet on future price direction. There are two types of futures: physical futures involve the actual delivery of the underlying asset to buyers, while cash-settled futures involve settling the differences in cash. How Do Options on Futures Work? Futures options are option contracts on an underlying single futures contract that works much the same way as a traditional equity option. The obvious difference is that a futures option has a futures contract underlying it instead of an equity, which results in many other differences between the ways that futures options and equity options behave. Buying Futures Call Options provides the buyer with the right, but not the obligation, to purchase a futures contract at a fixed price on or before a certain date. Buying Futures Put Options provides the buyer with the right, but not the obligation, to sell a futures contract at a fixed price on or before a certain date. Writing Futures Call Options provides the seller with a set premium in exchange for the option to sell a futures contract at a fixed price, if exercised before a certain date. Writing Futures Put Options provides the seller with a set premium in exchange for the option to buy a futures contract at a fixed price, if exercised before a certain date. Unlike equity options, futures options pricing works in two directions. For example, the implied volatility as a stock option moves towards expiration is fairly linear and downward, while the implied volatility of a futures option is more like an upward facing parabola. 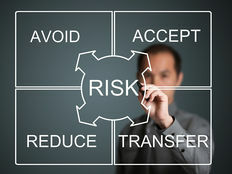 The reason is that futures traders fear bi-directional risk instead of just downside risk. Another key difference is that a $1 change in a stock option’s price is equivalent to $1 per share, but that’s not necessarily so with futures options. For instance, when S&P 500 futures options move $1, the change equates to a $250 increase in the futures’ contract value. There are also several other differences, like fair value and premiums, but they are less important for beginners. Futures options are governed by the exchanges through a calculation algorithm known as SPAN margining. 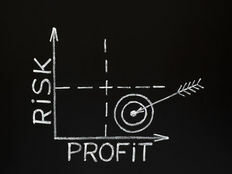 These daily calculations evaluate overall portfolio risk by calculating the worst-case scenario under a variety of market conditions, as opposed to having somewhat arbitrary initial margin requirements created by regulations or by the futures exchanges [see also How To Lose Money Investing In Commodities]. Most futures brokers receive these SPAN margin levels throughout the day and may provide them to traders on a regular basis as a percentage. Traders must then maintain a minimum deposit as a percentage of the current market value of their futures options positions. Notably, this applies whether or not the futures options are “out of the money” or “in the money”. Many traders prefer SPAN margin because it often lowers margin requirements and therefore increases returns on investment. After all, less capital required to be set aside in cash means more leverage can be applied to open positions. These margin rules are also a key reason that traders like to use futures options in lieu of traditional options in some cases. Suppose that you purchased one S&P 500 futures call option with a strike price of 1,000, and the underlying futures jump to 1,050. If you exercise them and take delivery, assuming a SPAN margin requirement of 12%, you will receive one long position bought at 1,000 points, pay SPAN initial margin of $31,500 (1,050 × 250 × 12%), and receive the balance in cash (1,050 – 1,000 = 50 × 250 = $12,500). The seller of the call futures option that you purchased receives a short position in the underlying futures contract, after paying initial margin requirements, and also pays you, in cash, the difference between the prevailing futures price and the strike price. Trading options on futures is a complex topic, but many of the same strategies as equity options can be applied. Most traders prefer to be net sellers of the options, primarily because they are commonly used as a hedge against existing futures positions, but there are many traders that also speculate on price movement in index and commodity futures. Those looking to speculate can use many of the same strategies used for traditional equity options. For instance, butterfly and condor strategies can be used to capitalize on changes in volatility, while conservative traders can use covered calls to generate additional income from existing futures contracts they hold in their portfolios.